Taylor began her real estate career five years ago as a community assistant at The Avenue in Lubbock, Texas. She immediately demonstrated her drive and ability to sell, helping a new student housing community achieve 100% occupancy. 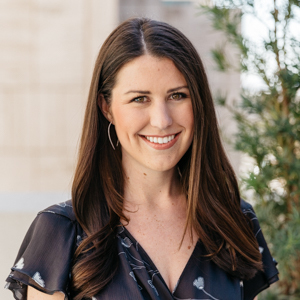 Following graduation from Texas Tech University, where she earned a Bachelor’s in Human Sciences, Taylor returned to Dallas and worked as an assistant to a top real estate agent. She is now proud to be a member of the Detwiler+Wood Real Estate Group at Compass in Dallas, collaborating with market-leading experts Amy Detwiler and Michelle Wood to optimize service to a discerning clientele. Taylor brings tremendous energy and enthusiasm to her clients and her team, along with a knack for creative problem solving to every real estate transaction. She loves a challenge and thrives on the art of negotiation. As a native Dallasite, her local knowledge runs deep. Taylor offers extensive local expertise with a fresh approach to marketing that sells. Coming from generations that grew up in Dallas, she enjoys her families’ stories of the growth and development in the city. Born and raised in the Park Cities, Taylor currently lives in Uptown near the Katy Trail, a favorite spot for daily walks with her King Charles Cavalier dog, Grace. She is actively involved in weekly MetroTex area meetings and stays current on industry trends. Taylor enjoys residential real estate because it focuses on people. She believes that the process of finding and purchasing a home is one that is exciting and life-changing.